Hello 2019! Firstly, a big “thank you” to 2018 for always being there for me, day in and day out. Another year gone in what feels like the blink of an eye. And the New Year already a week old! So with this new year and all the possibilities and excitement ahead of me, why do I feel so weighed down? (And it’s not just the extra Christmas cookie weight…). Did you vow yet again to not overbuy and overconsume throughout the year and especially during the holidays? Me too. And yet more stuff has appeared and mushroomed seemingly overnight. Physically, all the STUFF we have in our space carries a physical weight to it. This is something we already knew. But what about the emotional and psychological cost of clutter in our lives? New research has shown that clutter actually weighs us down. How do I lighten up my space and my life? 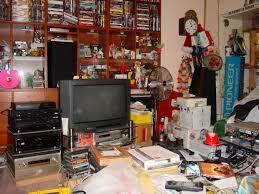 Check out this great article in the New York Times on “The Unbearable Heaviness of Clutter”. The article outlines the stress caused by clutter and the damage we are doing to ourselves financially, emotionally and psychologically. I am happy to report that there is good news as well. If decluttering and living more intentionally is a goal for you in the new year, new behaviors and choices can have a significant impact. Take small steps daily to reduce your clutter by identifying your biggest “pain point”. Is it the pile of mail or paperwork you’ve been avoiding? Is it your closet that is disorganized and overflowing with unneeded and unused items? Pick a starting point and attack that project. Taking action, even in the smallest steps, leads to creating effective habits. First process, then progress. Forget resolutions and instead, focus on new intentions. We all have something we can work on and improve. If organizing and living more intentionally is an intention and goal for you, pick a spot and get started. We all have to start somewhere…so get started!